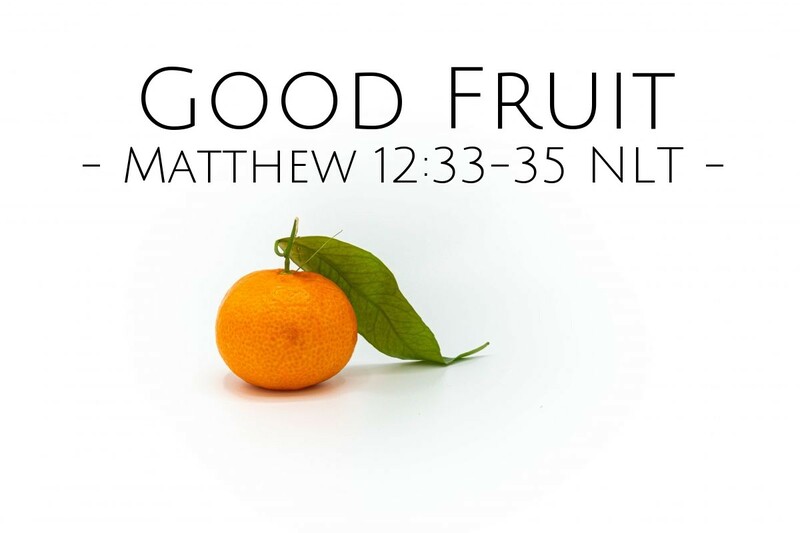 "If you want good fruit, you must make the tree good. If your tree is not good then it will have bad fruit. A tree is known by the kind of fruit it makes. You snakes! You are evil people! How can you say anything good? The mouth speaks the things that are in the heart. A good person has good things saved in his heart. And so he speaks the good things that come from his heart. But an evil person has evil saved in his heart. So he speaks the evil things that come from his heart." Blasphemy is what you would expect from Jesus' opponents, because their hearts are evil. They have demonstrated this again and again by their actions. But what about us? Is there a cynical, fault-finding heart that is always skeptically looking to cut down those who do good things? Is there an arrogant, hypocritical heart that allows us to find the faults in others but not deal with our own? Is there an undiscerning, rebellious heart that allows us to see no need for standards or morals? We must remember that our mouths speak of what is in our hearts. Our deeds display the values of our hearts. We must guard our hearts and seek after truth, and in particular, seek after Jesus. Purify my heart, O God, so that I may faithfully and honorable serve you. In Jesus' name I pray. Amen.